Ed has been the associate pastor of music and administration for more then 29 years. He oversees a variety of elements at First Baptist Church from music ministry and worship planning to finance and personnel matters. 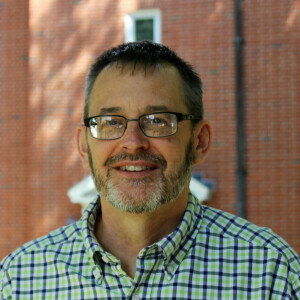 He received his Bachelor of Science in church music from William Jewell College in Liberty, Mo, and his Master of Church Music from Southern Theological seminary in Kentucky. Like a family, he likes that everyone brings something different to the table but that there is unity among the congregation. Ed has led the church in some of its most creative and arts centered initiatives and even served as the president of the Handbell Musicians of America from 2014-2017.